The Bottle 2 Build project was started to help build sustainable schools using recycled bottles as one of the structural elements to the school. The bottles are shaped as interlocking bricks and are manufactured using PET, a new age plastic that is completely inert and BPA free. The bottles are designed to create an eco-friendly building material that has the planet in mind. The brand wholesales the bottles to schools and corporate companies and then collects the empty bottles which are used to build schools. The school or company collect the empty bottles and place them into the collection bins. Once 15 000 bottles have been collected and R 200,000.00 is raised for additional materials, Bottle 2 Build will build a 54m² classroom for one lucky school. 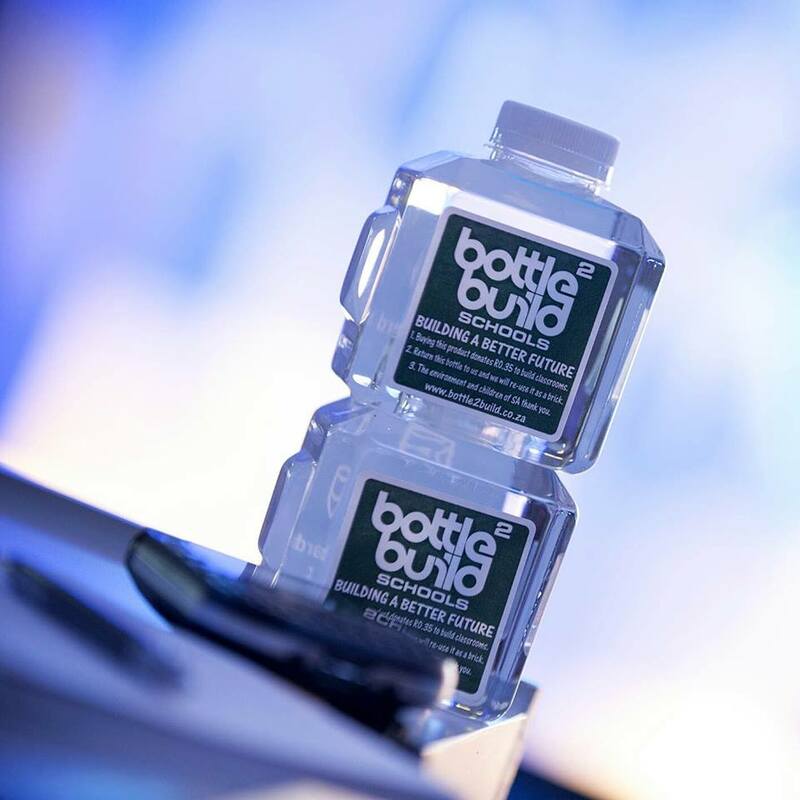 To date the Bottle 2 Build company had completed over 42 projects using the bottles as a building material.